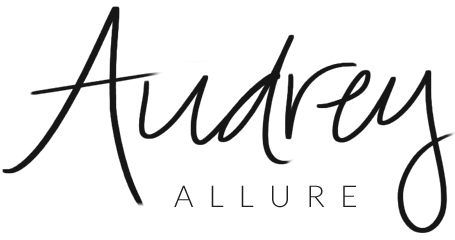 Audrey Allure: Jane Iredale Starter Kit Giveaway! Jane Iredale Starter Kit Giveaway! As you all know, I'm a big fan of Jane Iredale makeup. They recently introduced a beauty starter kit, that embodies the foundation of the line with the essentials needed to reveal healthy, radiant skin. It includes: Smooth Affair Facial Primer and Brightener, Amazing Base SPF 20 Loose Mineral Powder, PurePressed Base SPF 20 Mineral Foundation, POMMIST Hydration Spray, a mini powder brush, and it all comes in a travel-sized cosmetic case with an extra large mirror. It's so simple to use -- start with the facial primer and brightener to nourish and refine the skin, apply one of the skin-loving foundations (comes in light, medium light, medium, medium dark, and dark), and finish with a nourishing spritz of POMMIST (probably my favorite beauty product ever). It's an amazing, useful kit to use for everyday wear and it's all light-weight so it doesn't even feel like there's any makeup caked on. I am teaming up with them to give ONE lucky winner a Jane Iredale Starter Kit of their own! Enter below & remember to leave a blog post comment with your email address! Open to US readers only. Contest ends Wednesday, January 29 11PM. Love all the goodies for the giveaway! Oh darn...only U.S. readers can enter, huh?! I would have loved this; I've been dying to try Jane Iredale makeup!! pick me! I'm bad at makeup and need a starter kit! Wow this is a great starter kit. Thanks for sharing. I need one, i am not good with makeup, for real.